Total Maintenance Solutions proudly offer’s Waterjet Cutting Services facilitated by our top-quality Techni Waterjet system, featuring 5 Axis Cutting Head, capable of operating at 60,000 PSI of water pressure. This equipment enables us to cut Steel Plate up to 12″ thick!! (Please note at that thickness it would be a rough cut.) and a huge variety of other metals, plastics, ceramics, and composites – at exceptionally high levels of precision. 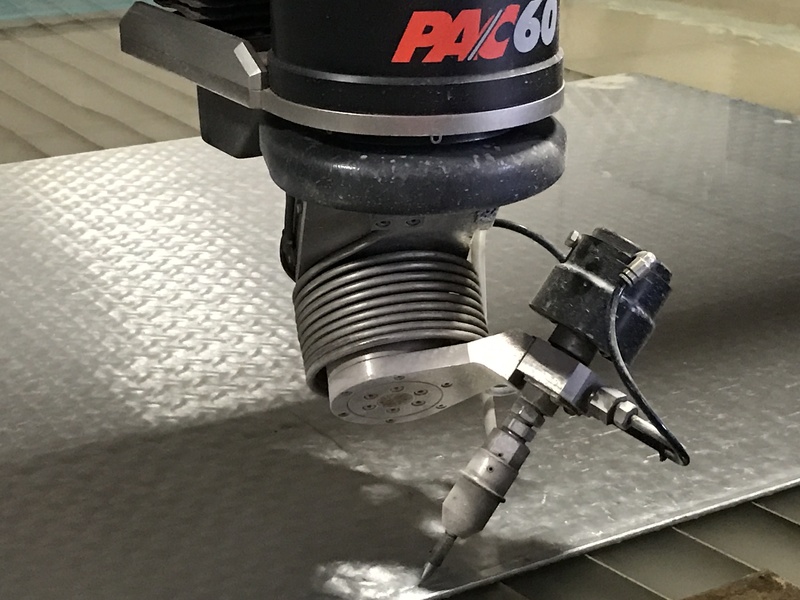 Waterjet Cutting also eliminates material edge hardening because virtually no heat is generated during cutting and no mechanical stress is introduced. This makes Waterjet Cutting ideal for fast cost-effective cutting of thicker parts made from nearly any material with minimal set-up time!